Christmas 2015’s broccoli shoots ! 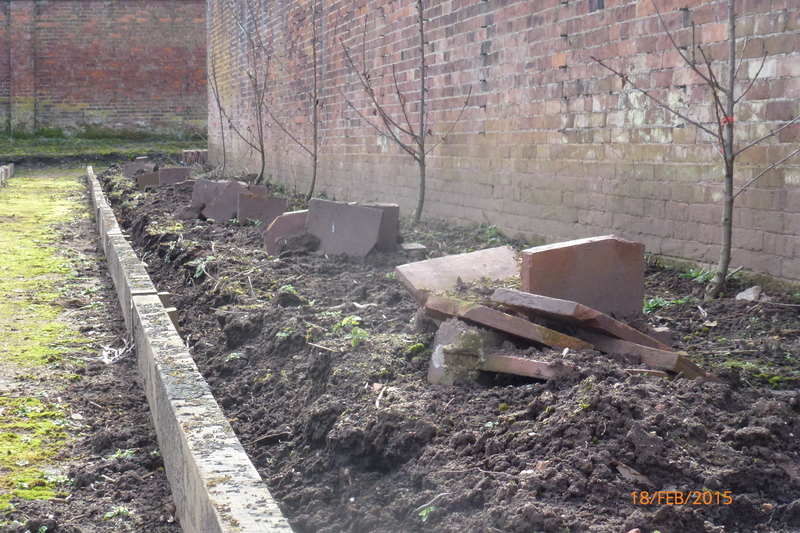 It got too late last night to finish off all the very latest Apley Walled Garden news. 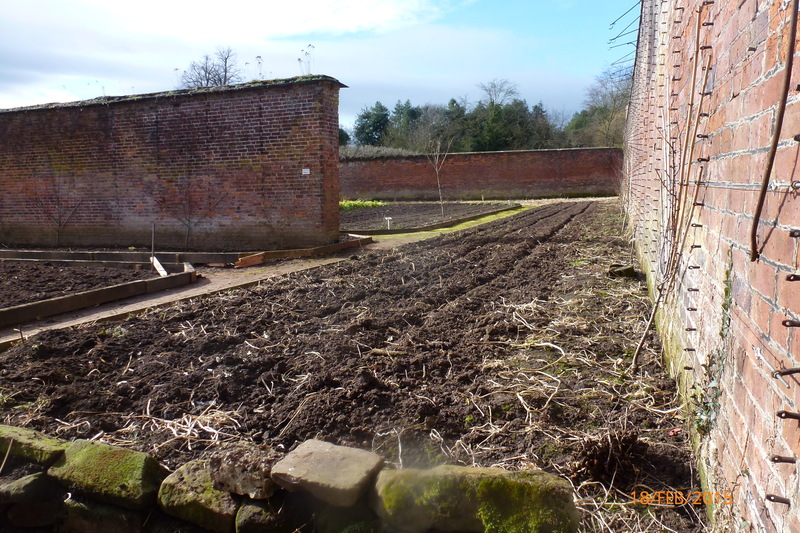 In 1 of the original greenhouses against a south facing wall, Phil has planted ‘Yard long’ beans which have been pre-purchased by a local restaurant. 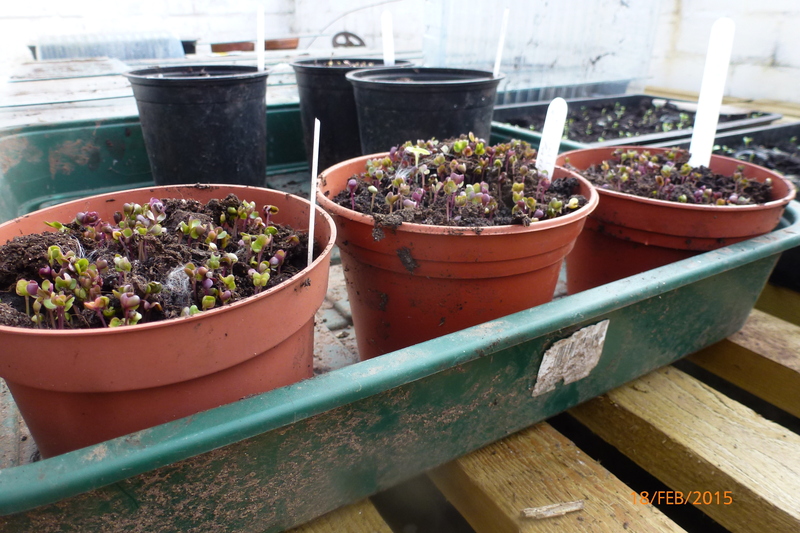 Also there, he’s planted peppers (red & yellow ‘Bell Boy’ varieties), aubergines (which gre outside in 2013) & tomatoes (beef tomatoes, Rossella & black tomatoes), lettuces (Lolla Rossa, Little Gems, Red Fire), radishes (which will be ready for Mothers Day on 15 March), rocket, mizuna (my favourite), coriander, cucumbers & a fig tree on the back wall. The opaque plastic roof has bee re-done & it’s benefitting from black drip pipes, run on an automatic watering system. Gourds will be ready in May, growing up a new wooden outdoor arch / tunnel (about to be constructed), like the sweet pea tunnel he constructed last year from hazel sticks. Just been to the retirement party of Ivor Richards, who has worked on the Apley Farms for nearly 38 years. Held in The Creamery Café at Apley Farm Shop, Tina, our new General Manager, organised with Chef Martin McKee, an impressive selection of delicious canapes. We gave him framed photos taken by his colleague Ian Edwards, a talented photographer, but usually one of our tractor-drivers. Julie helped out all evening & made a huge, delicious, iced cake – the icing is the best bit – I’m not mad about the sponge cake bit !